Set against the backdrop of London and rural Ireland in 1790, Wild Rose reimagines a haunting Irish folktale. The story of Eliza Day is a tale of love and revenge, but also of class conflict, religious intolerance, and the secret societies that became common in eighteenth century Ireland. When Eliza is seduced and betrayed by a wealthy English lover, she vows to seek revenge and enlists the help of a witch. But as she soon finds out, the restrictive society in which she lives has no place for defiant, damaged women who break with convention. With the help of Adam Stone, a free Black man, Eliza has a chance to make a new life for herself after the loss of her innocence – but to do so, she will have to be braver than she could ever have imagined. 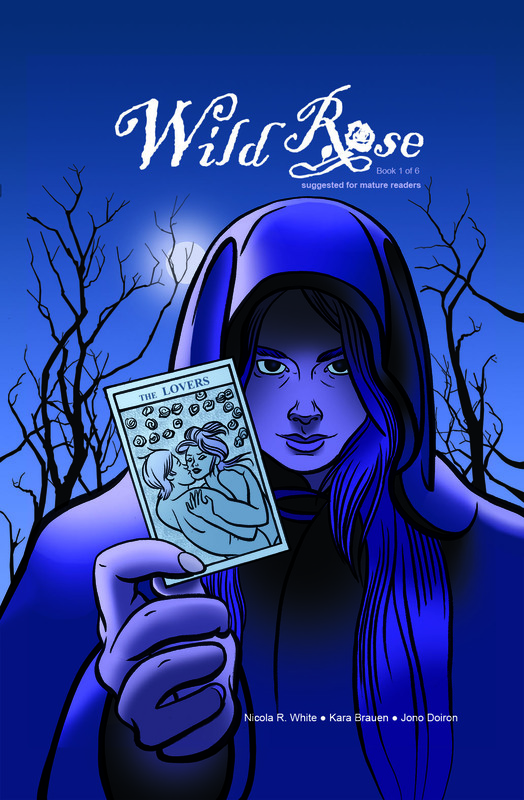 Wild Rose is a six-issue mini-series with potential for an ongoing storyline. This is a socially conscious project which depicts the realities of life in 18th century Europe, including people of color and LGBTQ+ orientation. Currently available exclusively through Kickstarter and personal appearances at conventions and other events. Don’t miss an issue – follow Nicola on Kickstarter.